Cryptzone, the Software-Defined Perimeter company, today announced the newest version of AppGate, which enables organizations to easily deploy a Software-Defined Perimeter (SDP) for granular access control. 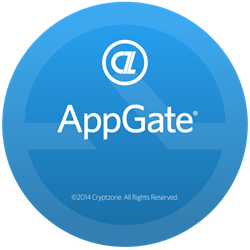 The release of AppGate 3.0 furthers Cryptzone’s vision for transformational network security – where all network services adopt an identity-centric security model. We see almost daily that traditional approaches to network security – firewalls, DMZs, VPN, and NAC – are failing to protect enterprises. AppGate 3.0 instead employs an “authenticate first, connect second” approach for improved security. All users are validated with multi-factor, context-sensitive authentication, controlled by dynamic policies rather than static rules, before they’re permitted to connect to network resources. AppGate’s transformational network security approach enables security teams to enthusiastically “say yes” to business requirements. For example, a large US-based transportation company decided to outsource management of key systems and applications to a remote third-party vendor. These users required access to on-premises applications, but the company’s security team needed to limit their network privileges. With AppGate, they were able to precisely configure network access for these remote users with a simple set of policies, while maintaining the user experience and the network infrastructure. They were also able to easily meet compliance and audit reporting requirements associated with the outsourcing project. Cryptzone’s AppGate may be deployed on-premises, and is also available from the AWS Marketplace. See today’s blog for additional perspective on this release.